The Index opened positive, above 8750 but saw initial dip towards the lows of the day around 8682 only to see the buyers back in action to see the index in green and close near the highs at 8778.30, gain of 63.90 points. The broader market was positive, with 805 advances to 722 declines. Developing Range as per Option Table comes 8400-9000. Call option 8700, 8900-9200 added 7.17 lacs OI with short covering seen at 8700 and below strike prices. Put option 8800-8500 added huge 10.45 lacs OI with profit booking seen at 8100 and below strike prices. 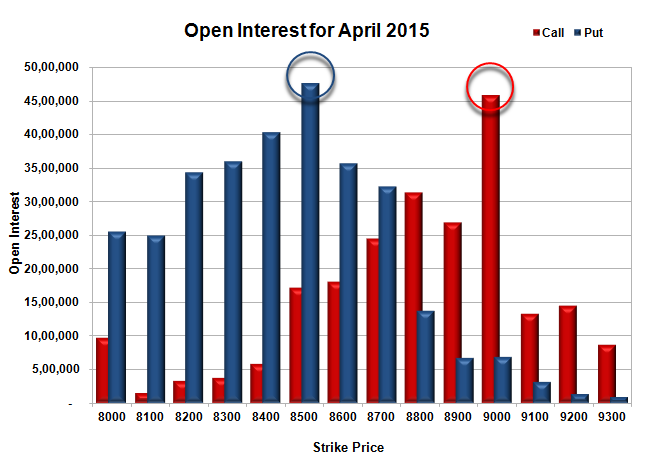 Nifty Open Interest is at 1,90,74,800 down by 96,500, with increase in price, most probably short covering. 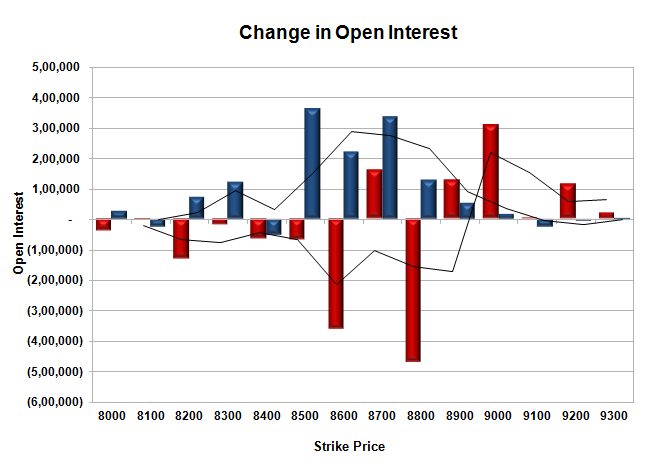 Bank Nifty Open Interest is at 17,40,650 down by 1,09,075, with increase in price, most probably huge short covering. FII’s bought 1.97 lacs Futures, which includes 4001 contracts long build-up and 3878 contracts short covering, with increase in net OI by 123 contracts (includes 51658 longs to 43779 shorts for the day) and the Average Price comes to 8850.00. FII’s Index future open contract as on date is 554670 Longs to 147623 Shorts, net long 417047 up by 7879 contracts. Initial support at 8700, with OI of 32.21 lacs and below that at 8600 with OI of 35.72 lacs. Initial resistance still at 8800, with OI of 31.43 lacs and above that at 9000 with OI of 45.78 lacs. 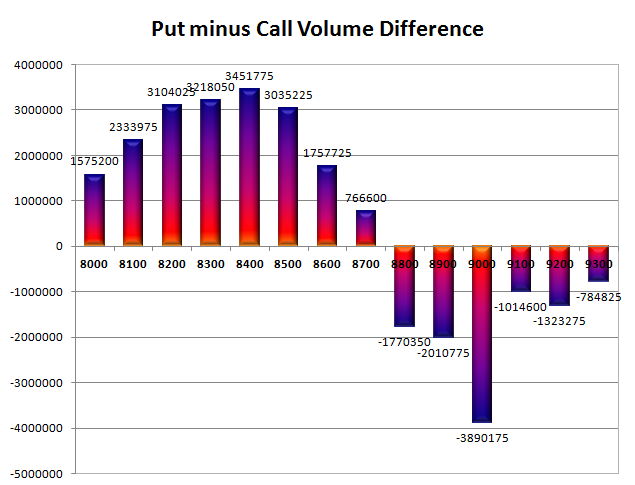 Day Range as per Option Table is 8676 - 8835 and as per VIX is 8712 - 8845 with 8749 as the Pivot.